Sometimes it’s great just to sit back and read a book from the “best-seller” list at your local book store. But admittedly, that’s not really what I’m in to. And if you’ve ever read one of those, and been left feeling like you didn’t understand what all the buzz is about, you’ll understand why it can be much more exciting discovering a new, budding author with a great story to tell. I came across this author and book by accident, on facebook, as a friend posted a link to God’s Daughter with very favorable comments. When I saw it was about Vikings with a strong female protagonist, I knew I needed to read it! So I quickly downloaded it and got started. It was one of those “hard to put down” reads right from the start! After reading, and loving, God’s Daughter I grew curious about the author, Heather Day Gilbert and discovered that she is not only is a debut author, but a home educating mom! 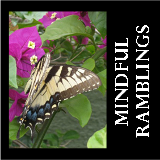 So I was overjoyed when she agree to do an interview right here on Mindful Ramblings! So without further ramblings from me, let’s move on to the interview! I always like to start at the beginning, so here we go….. Although I loved reading and writing from the time I was young, when I was about twelve, I had an epiphany moment—I’d written a poem about the ocean, and, like a bolt from the blue, I connected the dots that I was a writer. As I recall, I walked next door and announced that fact to my mom and grandma. I’m sure they had a good chuckle about that. But my family always supported my writing dreams. I wrote poetry throughout my teens and twenties, and I’d started writing a couple of books, but never finished them. Actually, what spurred me to finish a book was when a friend challenged me to NaNoWriMo (National Novel Writing Month). Three of us did it in January that year, and I started and finished my novel that month. I finally realized that yes, I could complete a novel. It gave me a measure of confidence and I actually landed my first agent with my NaNo novel. Mostly, my heritage. My Grandma always told us how we were related to Vikings—specifically, Leif Eiriksson and Eirik the Red. I bought The Sagas of Icelanders and read up on that family. It was there I ran into Gudrid, a Christian Viking who sailed across oceans with all three of her husbands. The women of those sagas did brave, amazing things, and yet I saw they were so human, as well. I wanted to delve deeper into their stories. Oh, wow. LOTS of research, before, during, and even after the book was complete. I took many specific events from the sagas and wove them into the story. I couldn’t get them all in my books, but I wanted to base it on the sagas as closely as possible. So it was a matter of constant cross-reference with The Saga of the Greenlanders and Eirik the Red’s Saga. I’ve purchased several Viking historical reference books, which I list at the end of my novel. Another thing I did was compare the adjectives/nouns/verbs I used to the online Old Norse dictionary. For the first draft, I tried to use only words I knew existed at that time. However, to me, it made it a more stilted read. So I went in and added a few words that were used around that time period. But in the end, I veered toward readability. I didn’t want anachronistic words, but since my book is written in first person, I wanted us to be in Gudrid’s head as much as possible, and I knew Vikings would have had descriptive words for things I might have no record of. I also decided to integrate contractions, since I’m pretty sure the Vikings could shorten their speech, just as we do. I’d started a draft of this story from a fictional character’s perspective (Stena, Gudrid’s reindeer herder sister-in-law in God’s Daughter). But it just didn’t flow. My husband asked me why I didn’t just focus on Gudrid’s life. I guess, in my mind, Gudrid is like the super-hero Viking woman—very well-known in Icelandic circles—and I didn’t want to get her wrong! But when I got into her head, the story started to fall into place. For this novel, I was guided by the saga events, to a certain extent. The cross-oceanic journeys, in particular. I decided where I wanted to drop us into Gudrid’s story, and at what point in her life I would end the book. I tend to do a loose outline based on chapter events. But the book generally takes on life and I modify based on how the characters lead me. In my mind, characters lead the plot. I know certain twists will happen, but how we get there is illuminated as I write. The key for me is spending time in my character’s head. Or in the case of these historical novels, in the sagas. If I get blocked, I go back to the sagas and ask myself why these Viking women did what they historically did. 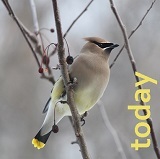 For my contemporary novels, it’s easier to go outside myself more and become deliberately observant of life around me. Then I can integrate new concepts. Great question. I’ve taught several writing classes in homeschool co-ops. Often the kids come into class thinking they can’t write, but at some point, they realize they can. I think the key is letting imagination reign supreme at the younger ages, which means lots of fun brain-stretching writing exercises. I don’t grade strictly on grammar or spelling in the elementary/middle grades. For high school, yes, you need to impose more structure. But in those lower grades, nurturing and rewarding creativity, while laying that solid grammar base with excellent curriculum (I’m a fan of teaching diagramming and verb conjugations all along the way), will produce effective writers. Another key is sharing writing examples from books, preferably classics (and it’s so much fun!). I think getting kids to read is crucial for so many things, from learning spelling to building excitement about writing. I guess I tend to go with the classical view, that you learn how to write well by reading excellent writing and emulating to some degree. Honestly, classics have informed the way I build stories and are some of my favorite books in the world. Being a writer is not an easy path, but if it’s what you’re supposed to do, you’ll be most happy when you’re writing. The future of publishing is in flux right now, but there are more opportunities than ever to get your writing out to readers. Just make sure you take the time to get the best book out there—and the only way to do that is let others read and critique your writing. You can’t write in a vacuum. Learning to accept (valid) writing criticism is the way to become a truly great writer. I hated this advice as a young adult, but it’s really a winnowing process to help the cream of the crop writers rise to the top. Learn from those who have gone before. Listen to those whose writing you respect. Ah! Great question. I love the DK Eyewitness Viking book, which is chock-full of great pictures. I also love Leif the Lucky, which is a Beautiful Feet story (for elementary ages) that touches on the North American voyages. Clyde Robert Bulla wrote Viking Adventure, which is a middle grade reader. I also love the Usborne Time Traveler book for elementary/middle grade, which takes kids on a visual adventure of what houses, clothing, food, and warfare was like for Egyptians, Vikings, Castle life, etc. I’ve heard a rumor that Rick Riordan’s next series will be based on Viking gods/goddesses! Thank you so much for having me visit, Julie! Great questions today and all the best as we nurture those budding writers in our families. Heather Day Gilbert enjoys writing stories about authentic, believable marriages. Sixteen years of marriage to her sweet Yankee husband have given her some perspective, as well as ten years spent homeschooling her three children. Heather is a regular contributor to Novel Rocket. You can find Heather at her website, Heather Day Gilbert–Author, and at her Facebook Author Page, as well as Twitter, Pinterest, YouTube, and Goodreads. Her Viking novel, God’s Daughter, is an Amazon bestseller. You can find it on Amazon and Smashwords. Disclaimer: After reading Heather’s debut novel, God’s Daughter, I was excited to help her spread the word. No compensation of any kind has been received. Miscellaneous Stuff that Won't Fit Into Another Category! Stay up to date on posts and giveaways. Follow me on facebook!